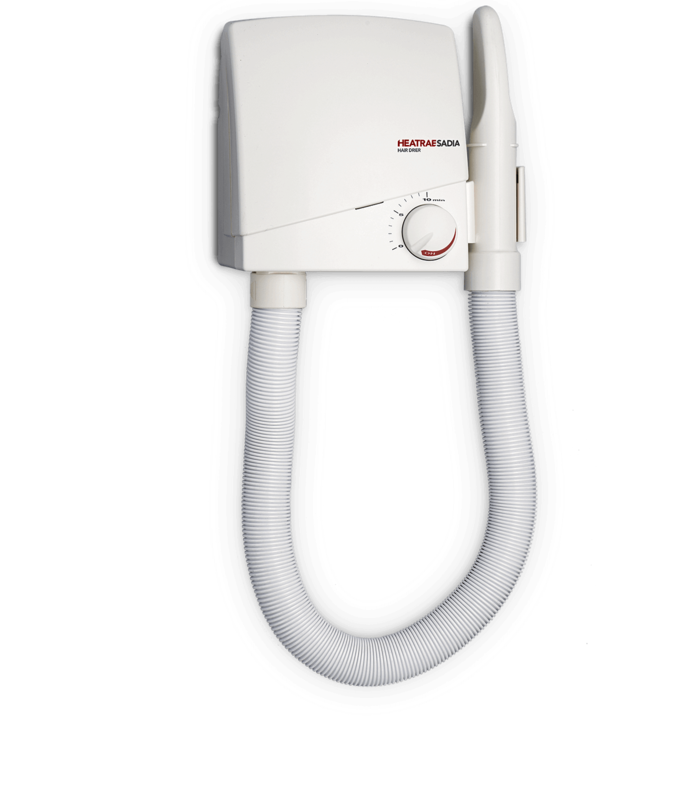 Compact in size, our Hair Dryer is robustly designed to suit environments such as hotel bedrooms, nursing homes, health clubs and sports centres. Drying time is user adjustable from one to ten minutes, with an automatic switch off function to prevent continuous running and the option to manually override the timer to switch off after use. Designed with safety in mind, Hair Dryer is wall-mounted without any plugs or power cords, which would otherwise present a safety hazard, instead featuring a 1.4m flexible hose and swivel nozzle. With a low noise level of only 63.5 dBA, Hair Dryer maintains its fast drying time with a 1kW element and high performance motorised fan, protected by a safety cut-out.